Whether you work in fashion, finance, or anywhere in between, having the ideal networking handbag is crucial to your success. Why? As someone that’s attending anywhere from 5-15 back-to-back networking events every week, I’ve realized how important it is to be strategic with the purse I carry. 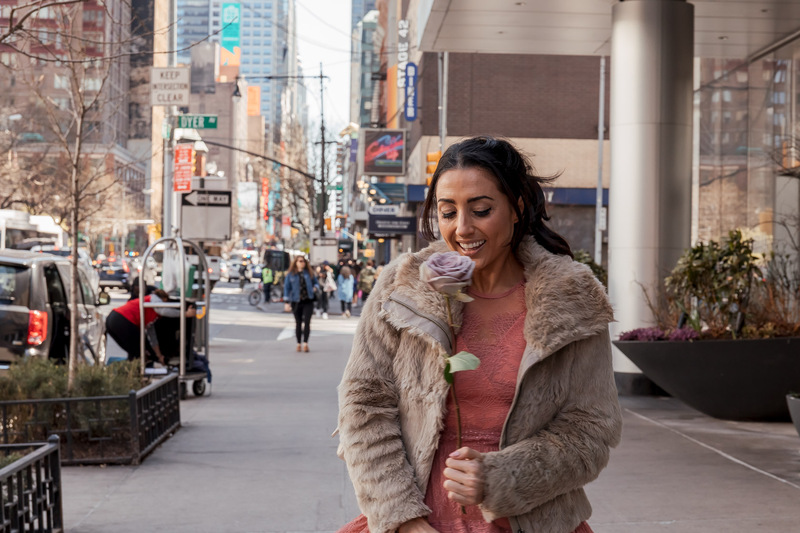 Getting around NYC is hard enough, pair that with crazy weather, and having to look photo-ready, yet professional at all times, and it’s quite a feat. Your handbag simultaneously becomes both your world, and your BFF. As a result, I compiled a checklist of my non-negotiables when it comes to choosing a networking handbag. Although I have a non-traditional job as a blogger, these tips can apply no matter what field you’re in. These days, I find myself going to a variety of different KINDS of events; which consist of back-to-back press previews, meetings, salon/store visits, meals, and parties. I am usually being photographed (or taking pictures of myself), and meeting heads of brands or PR people. The entire point of these events is to interact with the people from these brands. The last thing you want to happen, is to be in a corner fumbling through your bag, or be caught without your essentials. First impressions are (literally) everything. Lately, I’ve been loving this CHANEL bag from Bag Borrow Or Steal. I have been rocking it nonstop! At first, I shied away from the color, feeling like the white was not the most practical shade. However, it’s actually been quite easy to keep pristine, and goes with everything, even more than black does! The cream is a fresh take on traditional beige, and makes everything look more ladylike. I love having a back open pocket on my bag, you can quickly draw your business card out seamlessly, and you don’t ever have to worry about pesky card holders, or pockets on your outfit (which I rarely have). This pocket is also ideal for when you get photographed and need to give a photographer your name quickly before they run off, or dig for a metro card. I’ve already talked about the importance of a neutral handbag, but having a bag that is neutral not only in shade, but in VERSATILITY (works for day, night, black tie, office, etc), is paramount. 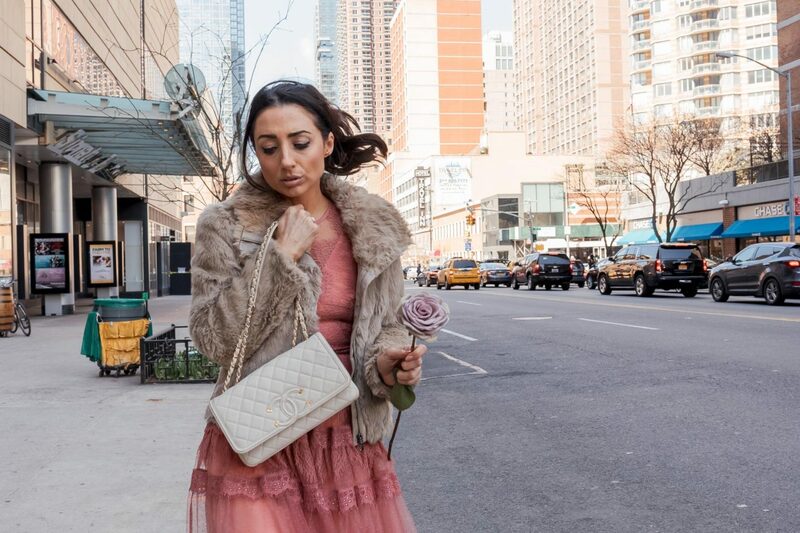 I love this bag because it can be worn 4 ways – cross body (subway friendly), doubled up over the shoulder (ladylike and meeting perfect), long over the shoulder (edgier), or as a clutch for evening. The separate zippered pouch is a non-negotiable. On a flap closure bag (read: OPEN) your essentials need to be extremely organized inside. No one wants to see your iphone charger cord or your bronzer brush hanging out of your designer handbag (I’ve been there). It immediately makes you look sloppy. I zip all of my loose items into this zippered pocket. Ideal for credit cards, so they don’t get lost or stolen. I also keep a lipstick and gum here for easy access. Do you have a favorite bag style that you always use when you’re networking? I would love to hear from you, so let me know in the comments below!